can host the System Classification. This is why you must always have at least one Piping System for each System Classification in the project. 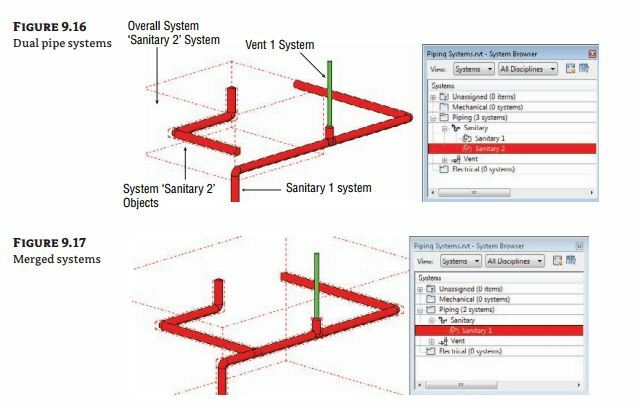 Each Piping System can be assigned its own project-wide Graphic Override. 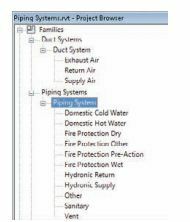 Combine this with the ability to assign a segment of pipe to any of these Piping Systems without attaching it to a fixture or equipment, and you can improve the documentation produced earlier in the design process, when equipment families have not been yet been built.